No one dared to stop Il-jae when he accused Gi-tan of being a spy and Gi-tan was dragged away into the interrogation room. The rest of the trainees could only stare at the procession while Gun-woo sighed, thinking that he just lost a decent rival. Heh, aren’t you supposed to feel relieved? Il-jae was hellbent on kicking Gi-tan out even when Gi-tan asked for his phone so that he could show who actually sent him there, but Manager Moon decided to sent in the phone to Gi-tan to see what would unveil there. Was he going to call Chae-ryung? Nope, he actually came prepared, with Mrs Hwang as his backer. Take that, Byun Il-jae! Now that he knew Gi-tan had his aunt-in-law’s support, Il-jae had to grit his teeth and swallow everything he just said. Heh. So, Gi-tan resumed his training along with the other ‘recruits’ and they underwent the usual physical training, much to Soo-yeon’s disappointment. Her patience reached its boiling point and she blew off her top, but unfortunately, at a wrong time. She raised the question on why they had to undergo physical training to join a company and urged the other trainees to follow her and meet Manager Moon. What she did not know was he was watching everything behind her and wondered if there were others who had the same thought as her. Gi-tan stood up agreeing for her…before going into his blabber on loyalty to the company and stuff. Poor Soo-yeon ended up getting penalty points and she dumped her food into Gi-tan’s bowl, but he happily dug in. 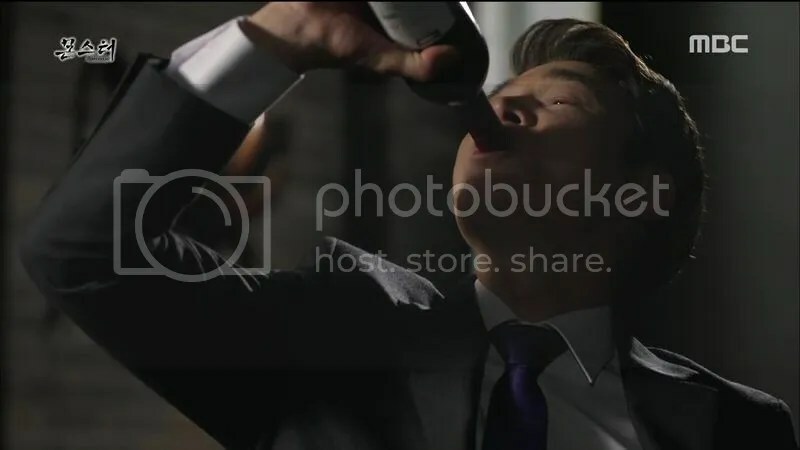 Girl, he had it worse than that..
Their bickering continue into the night when everyone was fast asleep, except for Soo-yeon, who was pulling an all-nighter with her studies. She woke up Gi-tan with her flashlight, causing him to suggest for her to study in the library instead of disturbing his sleep. She refused to do so and continued, since she felt that she needed to make more effort to catch up with the high achievers like him. Awww I’m sure there has to be something she could do well compared to others! This department was really trying to find well-rounded candidates among them, because they even had a cooking competition. Since President Do loved simple dishes, they were to prepare several of them in groups of their choice. No one wanted to join Soo-yeon at first, but Gun-woo was among the few forced to form a team with her. Gi-tan picked Sung-ae as his teammate and team leader but found out that she actually knew nothing about real cooking. Whoops, that got too close to real life, and no one is born perfect. Soo-yeon, on the other hand, surprised her team (particularly Gun-woo) with her cooking skills, while Sung-ae managed to burn everything on pans on her line of sight. The funniest thing was Manager Moon did not dare to try Sung-ae’s cooking and made the assistant do it. Hahaha! Il-jae played his role as Gun-woo’s loyal assistant very well, passing answer schemes to his young master even during training. 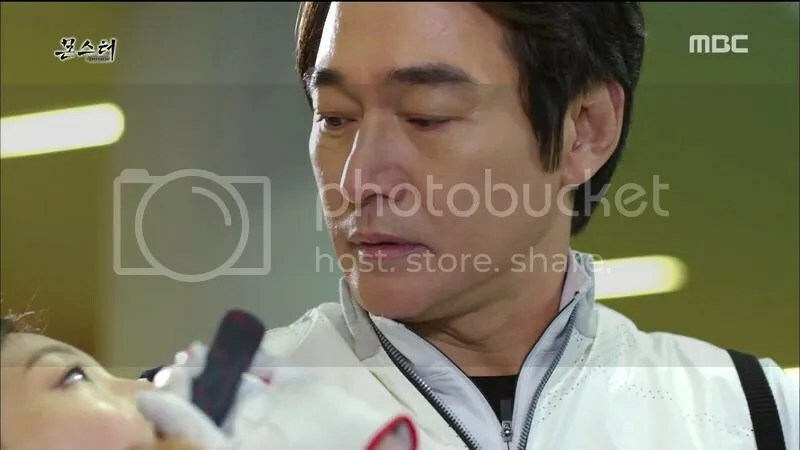 Although Gun-woo wanted to do it with his own effort this time, Il-jae insisted that he let others do the job as he took the glory, just like what a king should do. As expected, Gun-woo placed first in the latest ranking after the written test and Gi-tan second, while Soo-yeon rose to the 30th place. She was so proud with her progress and aimed to beat 10 trainees every week so that she could rise to the top spot in the end. Wishful thinking but it does not hurt to dream! As for Gi-tan and Gun-woo, their pride competition continued, with Gi-tan’s snarky comments and Gun-woo’s endless provoke. 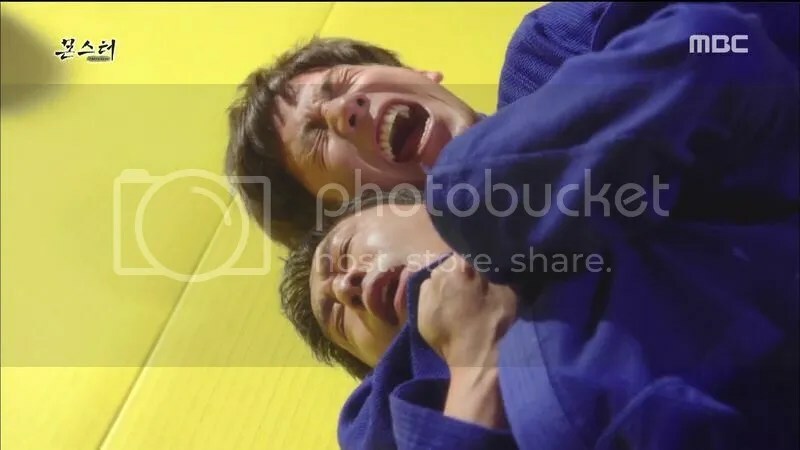 It was time for another judo sparring session, which spiraled into something else: hugging session for Gun-woo and Nan-jung, hair pulling for Gi-tan and Soo-yeon, and hand twisting for Sung-ae. Manager Moon decided to split the group into pro and amateur but Gi-tan wanted to have a spar with Gun-woo despite having received no formal training before. It soon turned into a brawl and puches were almost thrown, but they were penalized for getting into a fight. Gun-woo was not a rival Gi-tan could treat lightly, and the crazy look in his eyes said it all. Chae-ryung had her own mission while Gi-tan was cooped up at the training center, which was to get closer to Il-jae and fish out some information from him. She chose the standard flirty method, approaching him at the golf range and made him teach her before falling into his arms. 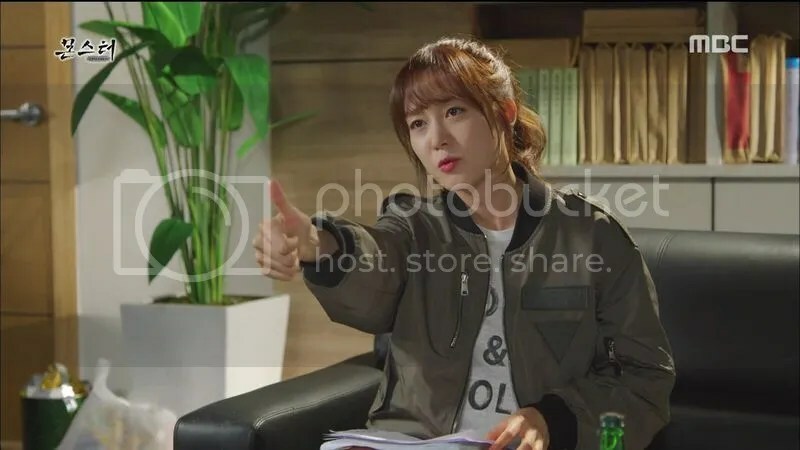 LOL she was not even trying to make it believable with the act, and Il-jae ended up introducing her to a golf instructor for her to learn properly. He was not an easy man to approach, and that was what Chae-ryung learned on that day. Dodo had a patent dispute with a company named Geukdong Electronics over phone design and Il-jae presented a brief summary of the case to the trainees as an assignment for them. Although Dodo won the first trial, there were risks for them to lose in the appeal made by Geukdong due to a document leak made by a staff of Dodo, and the staff died in a car accident. It was ruled as an accident due to brake malfunction despite the possibility of murder, and Gi-tan found it strange that the bodies were not found. Manager Moon put his bet on Gi-tan (YESSSS~!) and announced that this team assignment would determine the top 8 who would get the chance to go for overseas training. The trainees formed groups by themselves except for Soo-yeon, who was still struggling to find one. Nan-jung tried to drag her into Gun-woo’s group but the two could not sit for a minute without arguing, so Soo-yeon ended up leaving the clique. She went to Gi-tan and Sung-ae’s team next, but the snobbish director’s daughter was also on the team and she opposed to Soo-yeon joining the team. Although Gi-tan told the snob girl to leave, Soo-yeon ended up walking away from the team. She then hoarded all the law books related to patent dispute and others had to wait until she return all the borrowed books from the library. Manager Moon noticed that she was the only one without a team but Soo-yeon wanted to prove herself and others would be begging for her to join their teams in the end. Il-jae made a visit to a huge house which he eyed carefully like an eagle and it was no other than President Do’s house. 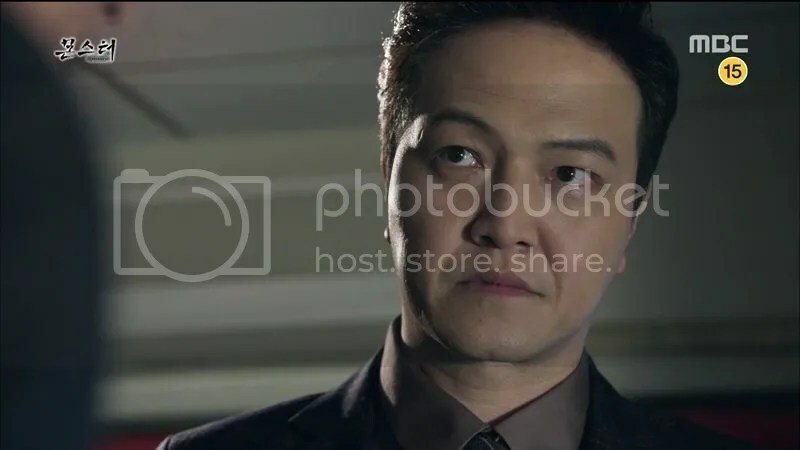 We got another of the writers’ favourite actor playing Butler Gong (Song Kyung-chul) and the butler gave a heads up to Il-jae that the president’s having a bad mood on that day. True enough, he got irritated when Il-jae tried to provide lengthy explanation regarding the patent case while Gwang-woo was just adding fuel to the fire when he thought that the person who gave the case as an assignment to the trainees was crazy. Well, that crazy man was no other than his own father. Oopsie! 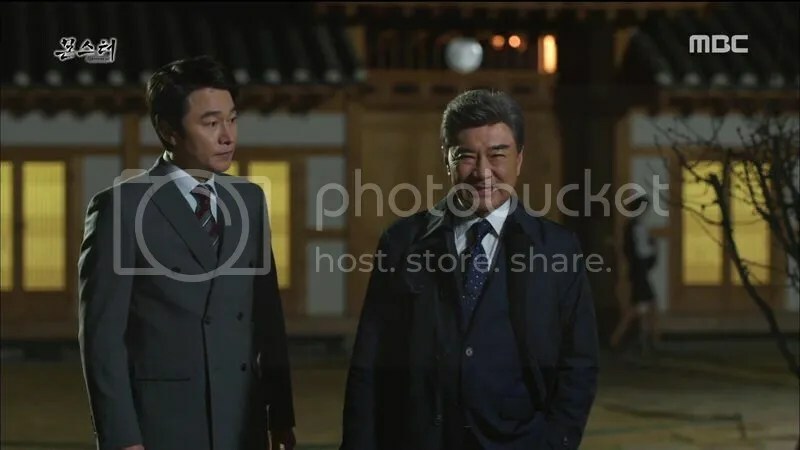 President Do was not happy when Mrs Hwang invited Il-jae for a meal together because he still consider him a company employee instead of a family, and Il-jae excused himself. The argument continued between him and Mrs Hwang and ended up with him leaving the table. Gwang-woo also got his share of heat when his mom chided him, saying that she hated everyone with the surname Do. Il-jae’s long days did not end there as he had to endure another wave of heat, this time coming from Gwang-woo. Young Master was not happy that he did not receive any update at all regarding the patent dispute, which made him look bad in his dearest daddy’s eyes. Yeah, especially when he actually said that dad was crazy in his face. 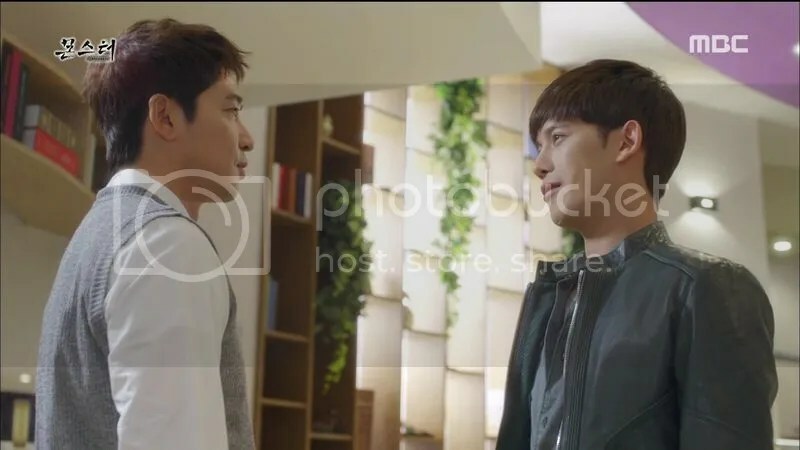 Gwang-woo wanted to be more appreciated since their relationship went a long way back, and he would be the best choice for Il-jae to put his hopes on. Except that Il-jae was already building his own line (or more like a new set of stairs for him to step on his way) to the top, taking the whole Dodo for himself. It was good to know that the trainees got to go for outings and Gun-woo was among the first to do so. Gi-tan still did not give up to find out who was behind Gun-woo, and the later joked that it was the president himself. Gi-tan wondered if it was someone in a high position there but he did not have to wait long for the answer: using his super hearing, he eavesdropped on a phone call received by Gun-woo and recognized Il-jae’s voice. 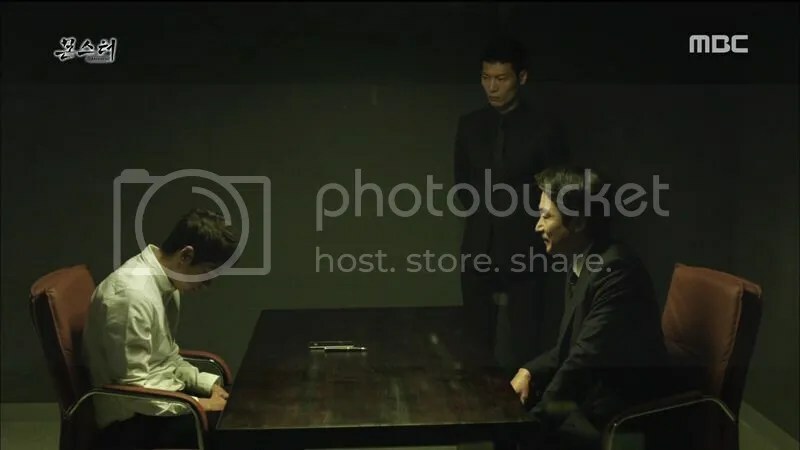 Il-jae met Gun-woo outside to pass a flash drive containing the documents from SPD related to the case, including details of a company called I-One, also known by its code name Owl in the department. Gi-tan actually followed them there and listened to their conversation from downstairs, so he also learned about I-One. 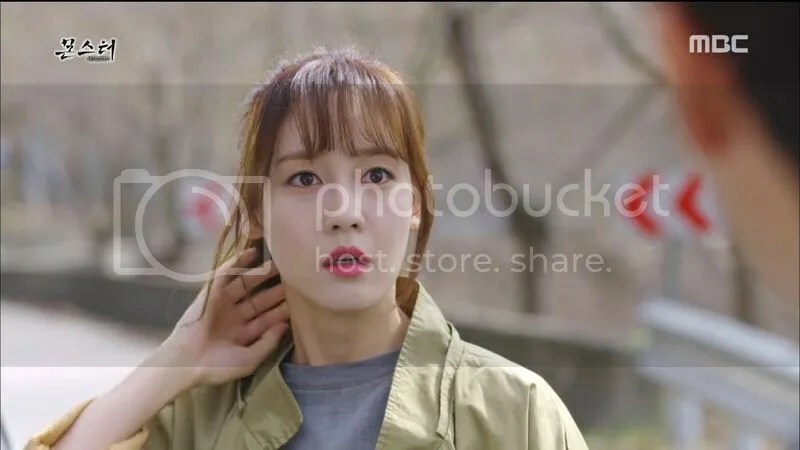 Sung-ae took the opportunity to jog outside but she also had a secret meeting under the bridge with a man, and it turned out that she was the spy sent by NIS to infiltrate SPD. Yup, she was too perfect to begin with! 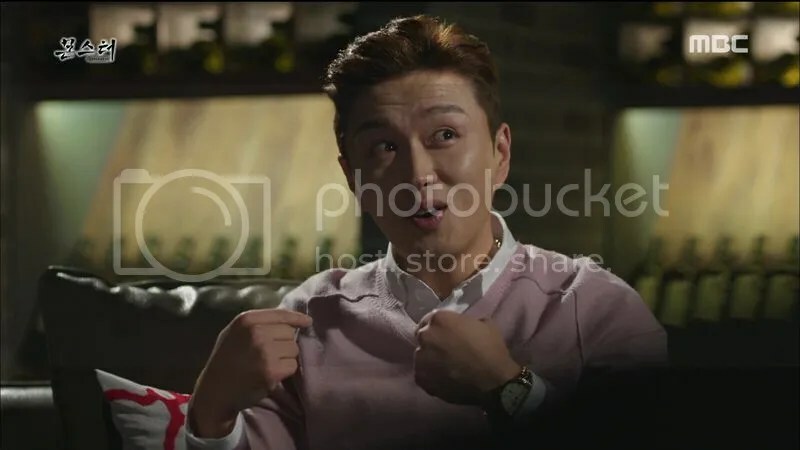 Unlike her usual cool self during the training, Sung-ae openly complained about the difficult training to her superior and asked for NIS’s help about the case, but he just brushed her off and threw vague hints to her, about Dodo buying a small company with code name Owl. I need more whining Sung-ae from time to time! 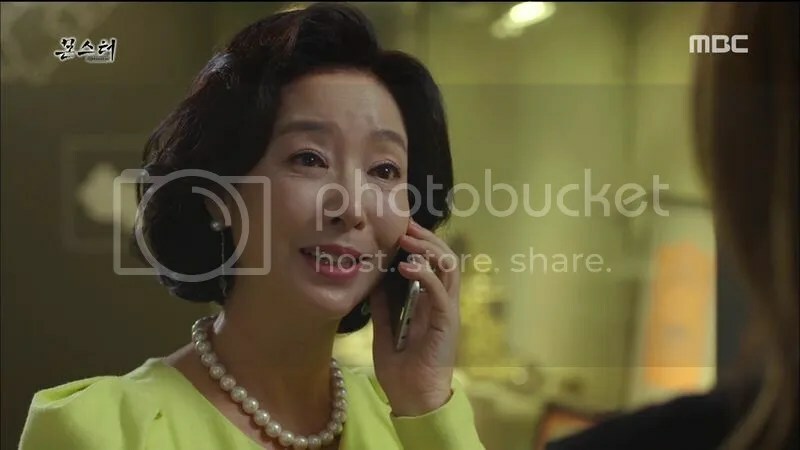 Gi-tan went to see Chae-ryung afterwards and she concluded that I-One would be the Achilles’ heel to Geukdong despite being a small subsidiary company due to its license, hence Il-jae was planning to use it to make Geukdong withdraw their appeal. 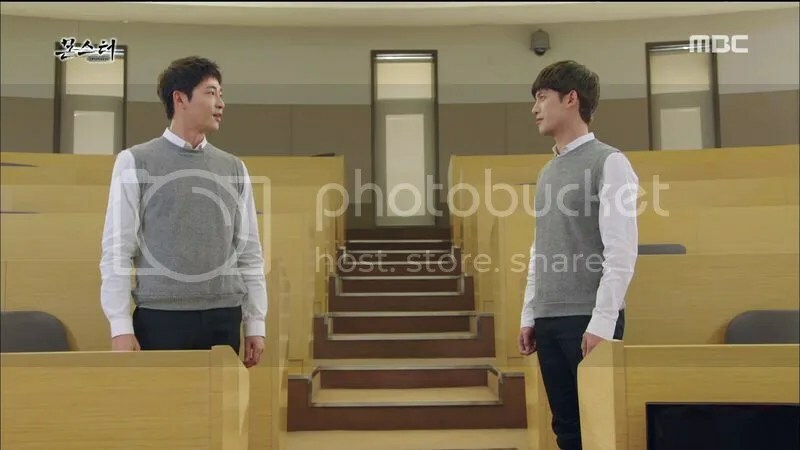 But then, it would be too risky to provide the same solution with Gun-woo, since Il-jae would be the one reviewing their reports and Gun-woo would receive higher grade with their similar solution. Hence, Gi-tan wanted to take a different approach and the lab researcher was quite suspicious to him since he thought that the person could as well be alive. Soo-yeon also made use of her external connection with Attorney Min, asking for his help to find out more about the researcher and his accident. 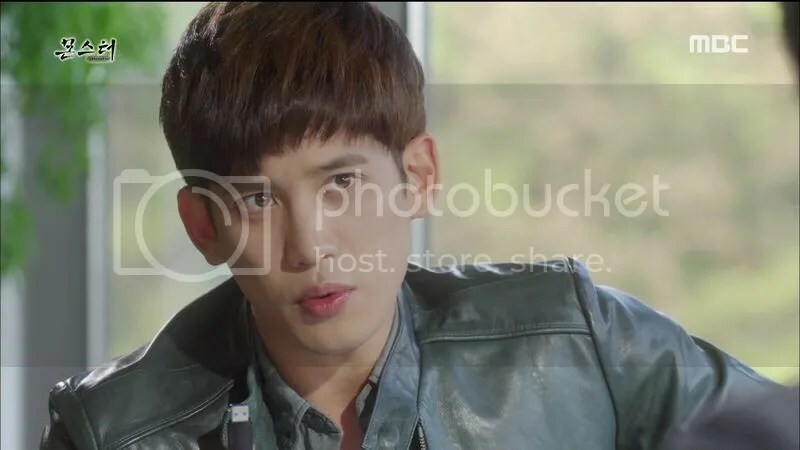 He supplied her with a lot of information down to the tiniest detail he could find, and So-yeon, too, thought that the researcher, Oh Sung-deok, was not dead. 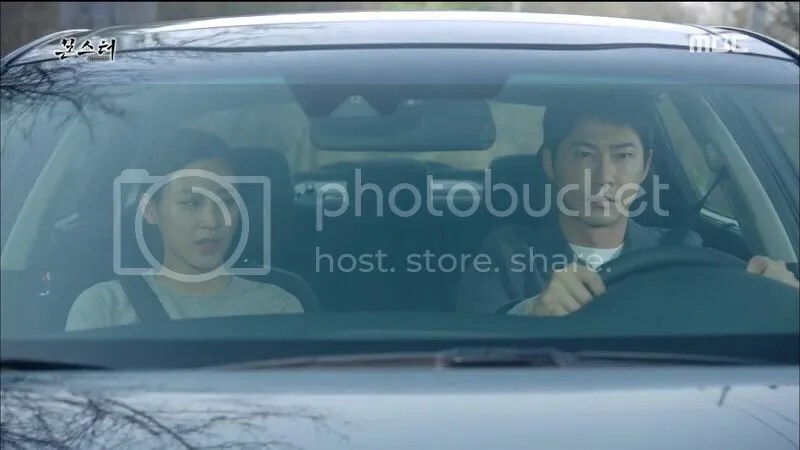 She even managed to borrow (more like forced LOL) his car to be used during the assignment. 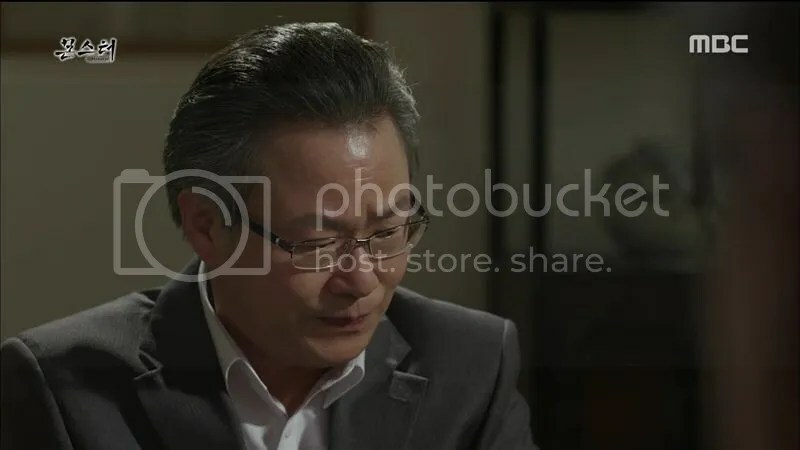 It looked like another bad day for Il-jae because the owner of I-One, President Park suddenly changed his decision over selling the company to Dodo and Il-jae failed to persuade him into discussing it again. Congressman Hwang suddenly appeared and insisted that Park stayed to discuss about the land under his name. 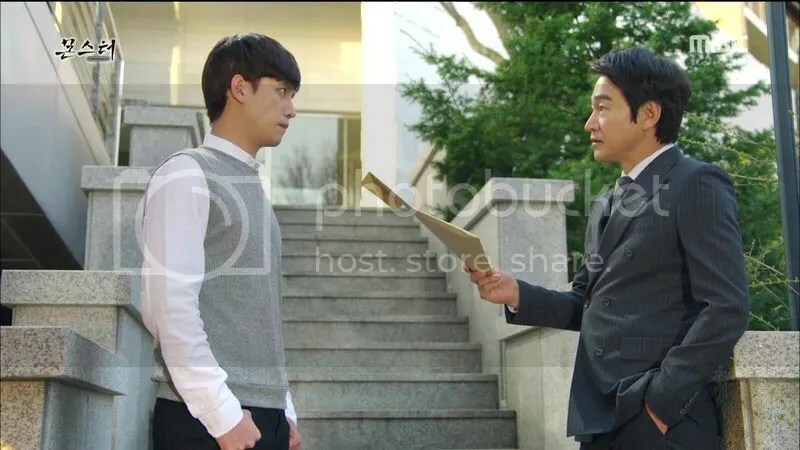 Offering his help to change the status of the land, Hwang managed to persuade Park into agreeing with the deal to sell I-One to Dodo, and he did that for the sake of bringing Il-jae one step closer towards his goal of being the owner of Dodo. So…will it be a joint effort between these father and son-in-law? Now that everyone witnessed their fight before, Gi-tan and Gun-woo did not even bother to hide their real feelings for each other (hate?) and continued to mock each other. Gi-tan welcomed any of Gun-woo’s teammates with open arms if they decided to change sides and Gun-woo also made the same offer to Gi-tan’s people. The snob girl bit the bait thrown by Gun-woo, revealing Gi-tan’s opinion that the researcher was still alive. Meanwhile, Gi-tan replicated the accident based on the investigation report with Sung-ae tagging along despite her doubts, and he recalled what happened when his own family was involved in the car accident prior to the parents’ death. Seeing how the researcher’s car did not swivel and just went straight into the divider, he realized that the person actually knew that the accident would happen and did not even try to step on the brake. Suddenly, another car appeared and hit the rear of Gi-tan’s car, causing him to throw a fit at the driver. It was actually Soo-yeon, who were there to investigate the same thing. Sung-ae tried to make her share what she knew but Soo-yeon knew the trick too well to get tricked (and Sung-ae was like a detective there!). She realized that they did not have any information or evidence yet, but they got another participant crashing the party.